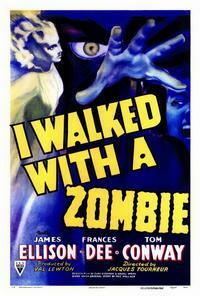 "I Walked with a Zombie": imprisoned by shadows. A shadow unfurls along a wall. A light from below throws startled features into high relief. Bars of darkness across a face; in the tree is a hanged creature. A knife, a clock, an open grave. Figures writhe; blood creeps under the doorframe. 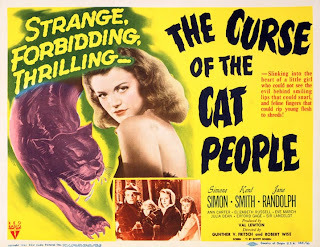 These are some of the sinister charms of suggestion at work in the films produced by Val Lewton between 1942 and 1946. 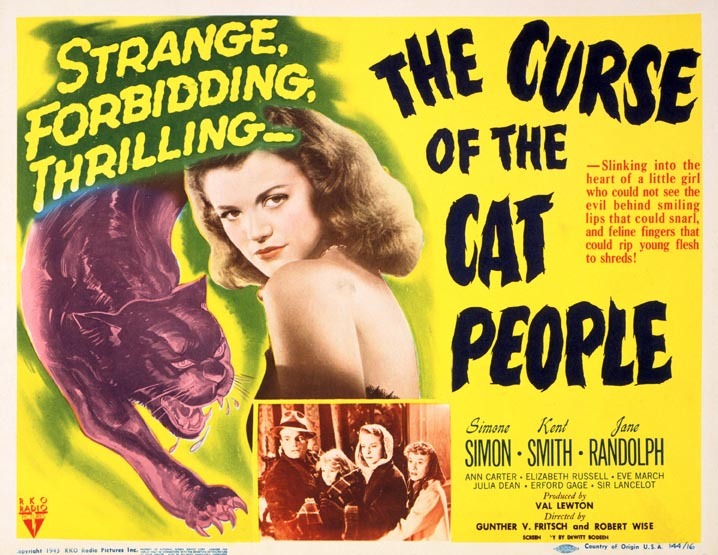 Of these nine films, only five are regularly included in the horror canon – “Cat People,” “Zombie,” “Victim,” “Snatcher” and “Bedlam” – the others are referred to, I often suspect politely, as “atmospheric.” Meaning not scary at all. However, I would posit that these gems contain the distilled essence of effective horror. In relying on the virtues of suggestion, of placing the monsters just beyond the edge of the frame, Lewton recaptured the poetry of the image, finding a power not utilized since the demise of the silent film. 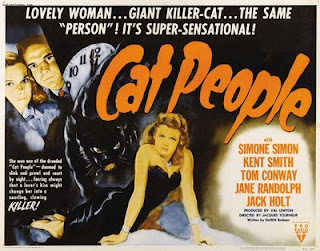 In a way that no film producer save perhaps Zanuck of Thalberg did, Lewton placed his unique stylistic stamp on every film he made – but, unlike them, he did it on B-movie budgets. 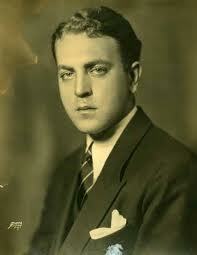 Lewton, born Vladimir Ivan Levonton, immigrated to America at the age of 5 with his parents from the Ukraine in 1909. After years of middling success as a journalist and writer, he found himself in the film business and eventually was placed in charge of the horror unit at RKO. As such, he was given three key constraints – his films could not cost more than $150,000 to make, each had to be less than 75 minutes long, and would have to be based on the titles given him by the studio heads. Lewton made his own luck, and turned his limitations into virtues. 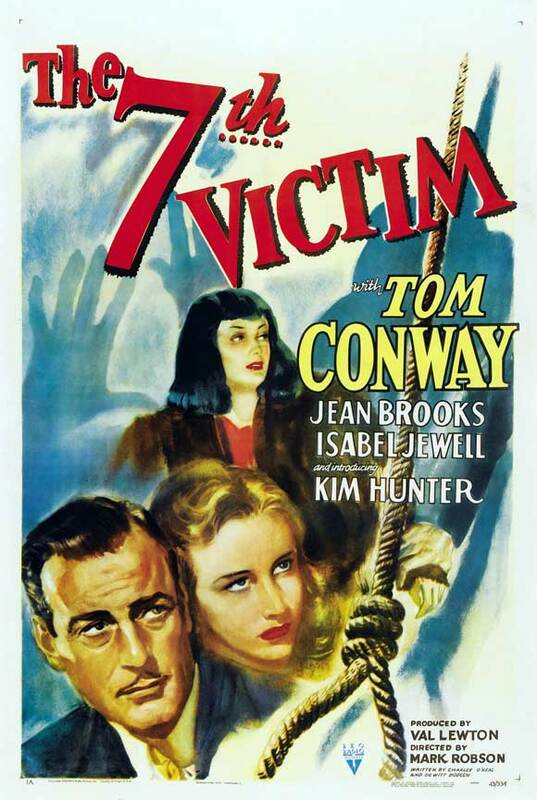 He found and nurtured undeveloped talents (directors Jacques Tourneur, Mark Robson, and Robert Wise; Robson and Wise jumped from editing to directing duties under Lewton’s command) and gave leeway and encouragement to overlooked movie veterans. “The Wolf Man” screenwriter Curt Siodmak turned in perhaps his best work for “I Walked with a Zombie.” Cinematographer Nicholas Musuraca quite literally made something out of nothing over most of the course of the horror cycle. 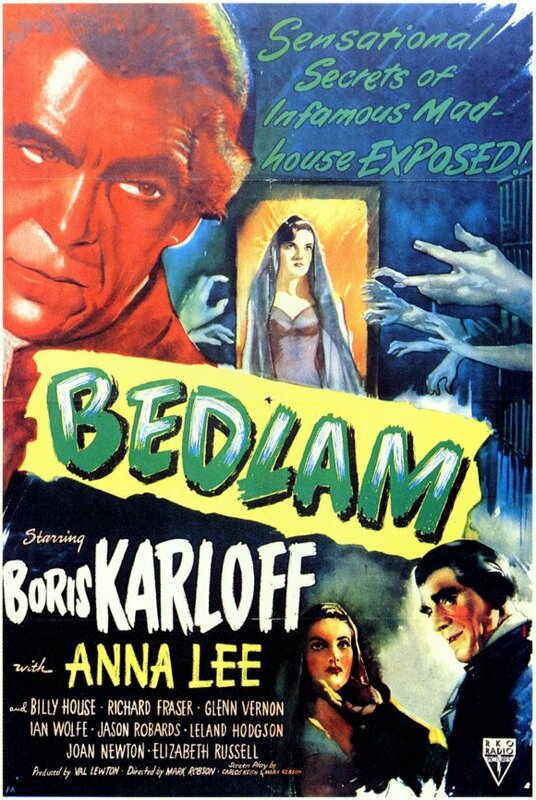 Boris Karloff, recently cast free from his Universal contract and sick and tired of playing the same old clichéd bogeymen, credited Lewton with giving him a range of complex, layered roles that made maximum use of his considerable dramatic talents. These elements combined and guided under the continuity (and incessant late-night rewrites) of Lewton present a paradigm that moves through all the films – a bland daylight world that is seduced and turned upside down by the narcotic enticement of the darkness outside the cope of vision. 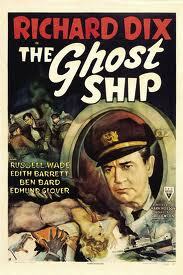 The inhabitants of these shadowy corners are often dismissed by the films’ innocent protagonists. Their stories are poo-poohed and their warnings are ignored. 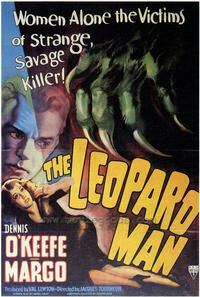 Until the climactic confrontations at the hearts of these movies take place, that is. Then, no matter what kind of resolution is tacked on at the end, there is a terrible feeling of incompleteness. 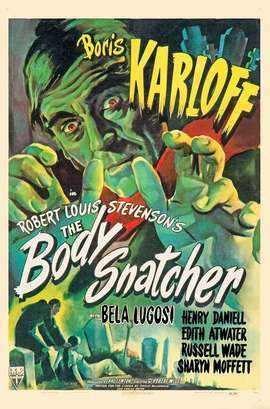 Lewton leverages the mind of the viewer to fill in the blanks, knowing of course that what we imagine might be behind that door or lurking above is far more terrifying than anything he could show us. 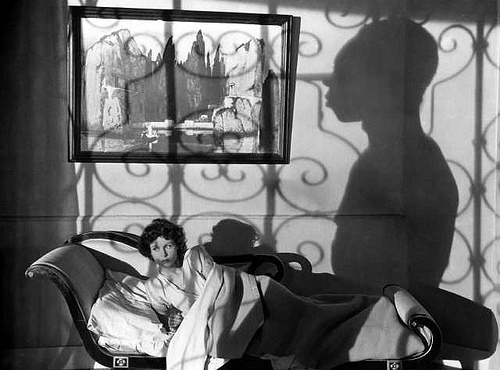 At the end of a Lewton film, the toll of the unseen adds up in our minds and leaves us disquieted. Much more than any graphic horror I’ve been exposed to, these movies still swell topmost in my nightmares and remain the touchstone of horror film as art. 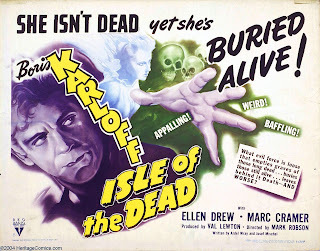 Most importantly, though, Karloff’s three films show him at the height of his powers. 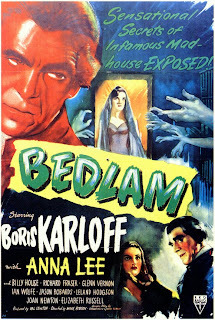 His trio of bitter sadists – the cabman/murder John Gray in “The Body Snatcher,” General Pherides in “Isle of the Dead,” and asylum keeper Master Sims in “Bedlam” -- all resonate on a remarkable number of levels, turning these seemingly simple horror tales into disquisitions on morality, power and hypocrisy and the flimsy social mechanisms that so easily crumple when evil pushes at them. 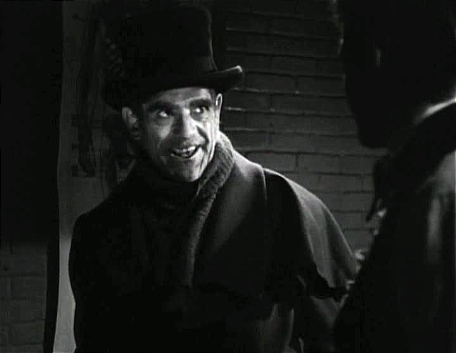 Karloff as the sinister grave robber in "The Body Snatcher" -- "You'll never get rid of me, Toddy." Under Lewton, the horror film opens out and speaks about far more than it was initially designed to do. Watch these with patience – what you get out of them will be proportional to how much you give yourself to them. NFR Project: "The Great Train Robbery"